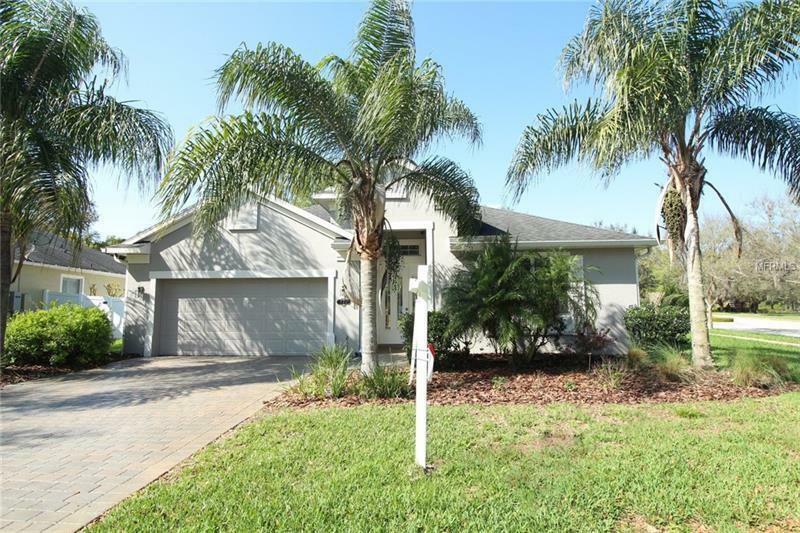 It's RARE to find a home for this price in sought after Oviedo Forest! HUGE SAVINGS ON YOUR ELECTRIC BILL means this home's monthly expenses could be less than a house priced way more! This STUNNING Engle built home on WOODED LOT w/no rear neighbors is move in ready! The FULL HOUSE SOLAR PANELS were installed in Dec 2017 (25K UPGRADE), are fully paid for & have a warranty. Solidly built w/concrete block, FOAM IN THE WALLS & DOUBLE PANED WINDOWS-this home is VERY QUIET! With BRAND NEW INTERIOR PAINT, freshly cleaned carpet, tile, grout & recently sealed pavers, this Granada model lacks nothing! A bright entry foyer leads into a spacious great room overlooking a private lanai & fully fenced back yard. Open concept, beautiful arches, lovely tile & 9'4" ceilings! The gorgeous kitchen has a HUGE GRANITE ISLAND, S/S appliances, pendant lighting & 42â cabinets w/crown molding. Pull up a stool to the breakfast bar, eat in the roomy dinette, or entertain in the formal dining room. The master bd awaits w/tray ceilings, large walk in closet & private bath featuring double vanities, large shower & separate garden tub. There are 3 other nice size bds & a 2nd full bath w/dual sinks too. Further appreciate the inside laundry room & 3 CAR TANDEM GARAGE w/extra storage in ceiling & even more in the ample attic space! Further upgrades inc. fresh exterior paint approx. 2 years ago, newer hybrid water heater, updated CAT-5 wiring, newer gutters, wired for surround sound. Close to UCF, Siemens, Research Park, Shops & 417 too!